As the legislative session progresses, two major county issues are emerging. First, revenue caps and appraisal caps will be pushed at every opportunity by their supporters. Amendments will be proposed to every tax or appraisal bill to insert these state controls. Second, the Legislature will continue to propose unfunded mandates. Please continue your communication with your legislators on these issues. Several important bills have been filed affecting county government. Since bills are often amended, please check the current version before contacting your senator and representative to support or oppose these bills. HB129 by Rep. Berman  Allows sheriff to use inmate labor on non-profit projects approved by commissioners court. HB132 by Rep. Hilderbran  Allows county health services district to adjust sales tax. HB305 by Rep. Goodman  Clarifies that less than a quorum can meet without violating Open Meetings Act. HB347 by Rep. Chisum  Provides authority for a county to charge a fee for pipelines in county road. HB348 by Rep. Chisum  Requires commissioners court approval to erect a gate on county road. HB477 by Rep. Casteel / SB142 by Sen. Wentworth  Expands county land development authority after referendum. HB631 by Rep. W. Smith  Expands county fire code authority to include multi-family dwellings. HB653 by Rep. Casteel / SB141 by Sen. Wentworth  Authorizes counties to adopt additional subdivision regulations. HB667 by Rep. Jones / SB210 by Sen. Carona  Authorizes increase in courthouse security fee to $10 from $5. HB731 by Rep. Jackson  Authorizes county electronic requisition systems. HB757 by Rep. Farabee  Authorizes counties to enact ordinances for health, safety or welfare. HB845 by Rep. Krusee  Exempts courthouse holding cells from jail standards. HB848 by Rep. Herrero  Increases the county optional motor vehicle registration fee to $20 from $10. HB950 by Rep. Casteel  Increases real estate filing fees in county clerks office. HB1231 by Rep. Castro / SB829 by Sen. Wentworth. Allows commissioners court to establish petty cash funds. HB1285 by Rep. Swinford. Exempts audit and investigation papers ordered by commissioners court from the Open Records / Public Information Act. HB1287 by Rep. Leibowitz. Authorizes county to control access to property to prevent nuisance violations. HB1385 by Rep. Hartnett. Restores governmental immunity from attorneys fees in declaratory judgment actions. HB1404 by Rep. Deshotel. Adds filing fee for additional documents in probate cases. HB1410 by Rep. Campbell. Increases state salary supplement to constitutional county judges to $15,000 from $10,000. HB1468 by Rep. McReynolds. Expands eligibility for county assistance district to all counties under 50,000 population. HB1610 by Rep. Chisum. Authorizes a county to charge a fee, not to exceed $500, for activity that cuts, damages or disturbs a county road. HB1727 by Rep. Leibowitz  Authorizes county to create land use planning district in part of the county upon voter approval. HB1954 by Rep. Merritt  Persons capable of posting bail would not be eligible for indigent legal defense. HB2103 by Rep. Homer  Unfunded mandates expire in three years. HB2120 by Rep. Ray Allen / SB1049 by Sen. Lindsay  General statutory clean-up bill. Includes statewide magistration. HB2121 by Rep. Wayne Smith / SB1068 by Sen. Madla  Authorizes a county electronic requisition system. HB2154 by Rep. Smithee  Authorizes a candidate for county or precinct office to decline compensation. HB2164 by Rep. Dunnam  Allows use of county clerk record management fee to maintain building and facilities. HB2251 by Rep. Rose  Allows counties to require permit to move manufactured homes over county roads. HB2253 by Rep. Rose / SB768 by Sen. Wentworth  Authorizes county to regulate outdoor lighting. HB2389 by Rep. Campbell  Allows counties under 150,000 population to receive surplus property from DPS. HJR20 by Rep. Hilderbran  Constitutional amendment to prohibit unfunded mandates. HJR41 by Rep. Casteel / SJR25 by Sen. Lindsay  Constitutional amendment to prohibit unfunded mandates. HJR53 by Rep. Todd Smith. Constitutional amendment to prohibit unfunded mandates. SB57 by Sen. Nelson  Authorizing county regulation of billboards. SB243 by Sen. Wentworth / SB282 by Sen. Madla  Requiring disclosure of real property purchase price to appraisal district. HB159 by Rep. Talton  Prohibits political subdivision from spending funds for advertising or educational materials on referendum measures. HB182 by Rep. Mowery / SB181 by Sen. Janek  Authorizing appraisal appeals to JP court. HB457 by Rep. Dutton  Expands county liability for conditions caused by motor-driven equipment. HB634 by Rep. Baxter / SB286 by Sen. Wentworth  Requires training in Open Meetings and Open Records within 30 days of assuming office. HB786 by Rep. Hope  Restricts county authority to prohibit solid waste disposal. HB914 by Rep. Woolley  Imposes additional conflict of interest filing requirements on county officials. HB1006 by Rep. Isett  Mandates referendum if tax increase exceeds 3 percent. HB1194 by Rep. Mowery. Prohibits county from removing barrier during road contests. HB1477 by Rep. Guillen. Establishes a $20 court cost fee payable to Office of Court Administration to reimburse jurors in lengthy trials. HB1607 by Rep. McCall. Creates presumption that request for information sent by e-mail was received by third day after sent. HB1961 by Rep. Otto / SB1067 by Sen. Madla  Removes 5 percent cap on salary increases for assistant auditor. HB2198 by Rep. Madden  Grants exclusive control to private operator of jail commissary contract. HB2236 by Rep. Baxter  Requires study and hearing before any increase in permit fees; restricts fee increases to cost of issuing permit. HB2404 by Rep. Keel  Requires counties over 250,000 population to create county elections administrator. HJR16 / HB108 by Rep. Wong  Caps property appraisal increases at 5 percent. HJR28 / HB359 by Rep. Bonnen  Caps property appraisal increases at 3 percent. HJR35 / HB784 by Rep. Bohac  Caps property appraisal increases at 5 percent. HJR36 / HB819 by Rep. Leibowitz  Caps property appraisal increases at 4 percent. HJR40 / HB980 by Rep. Riddle  Establishes a 3 percent appraisal cap. SB230 by Sen. West  Increases county indigent health care liability to 200 percent of poverty; transfers county funds to state tertiary fund. SB543 by Sen. Shapleigh. Authorizes members of Legislature to obtain a free copy of any record. SB1080 by Sen. Ellis. Adds additional mandates to indigent criminal defense. SB1107 by Sen. Madla  Repeals statutory provisions for removal of county treasurer for failure to post surety bond. 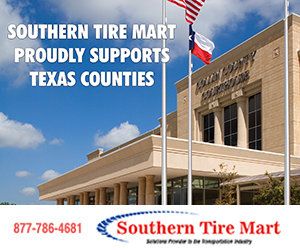 SB1108 by Sen. Madla  Repeals ability of commissioners court to set amount of treasurers surety bond. As the legislative session begins, a familiar issue looms like a dark cloud on the county horizon. 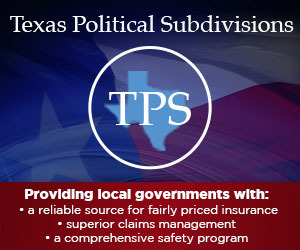 Governor Perry has again endorsed appraisal caps and revenue caps to restrict revenue sources of local governments. Appraisal caps place a 5 percent limit on the annual increase in property values. Some proposals are limited to residential homesteads; others would apply to all property. Replacing the current 10 percent appraisal cap on residential homesteads, these proposals would create inequities in the taxation of similar properties and shift a greater burden to moderate-income homeowners. Revenue caps would restrict the ability of local governments to respond to local needs and priorities. While counties would be required to fund all state mandates, they would be unable to respond to increased needs for roads and other local services. These proposals have been introduced as individual constitutional amendments. However, we expect that their supporters will attempt to attach them as amendments to school finance legislation. Please request that your legislators oppose appraisal caps and revenue caps in all forms. Legislative Note: Watch for legislative updates on the State Association Web site, www.cjcat.org. Send your e-mail address to cjca@allison-bass.com for more frequent updates.